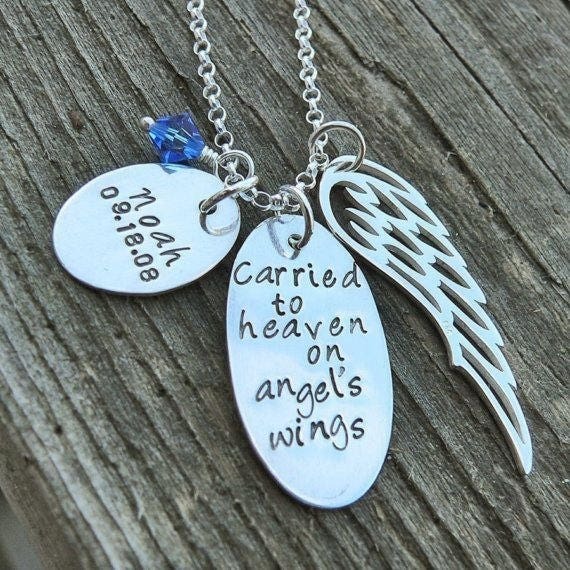 A thoughtful gift, or for yourself...a respectful, cherished memory after losing one you love. 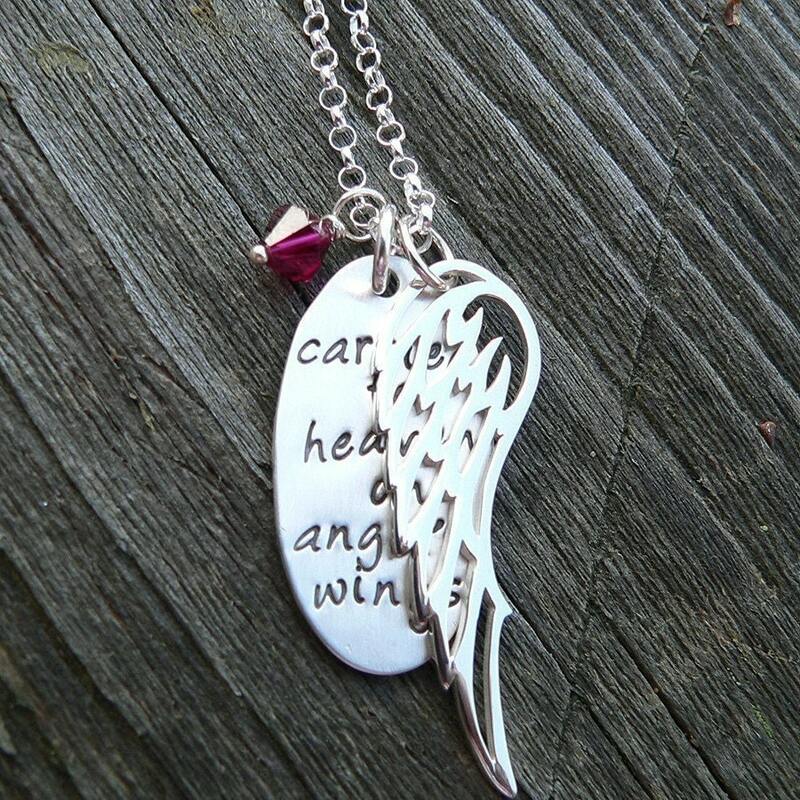 The gorgeous sterling silver openwork angel's wing is about 1.5" long, and .5" across (41mm x 13mm). The sterling pendant is a hand-stamped oval, about 1.25" long by .75" across. 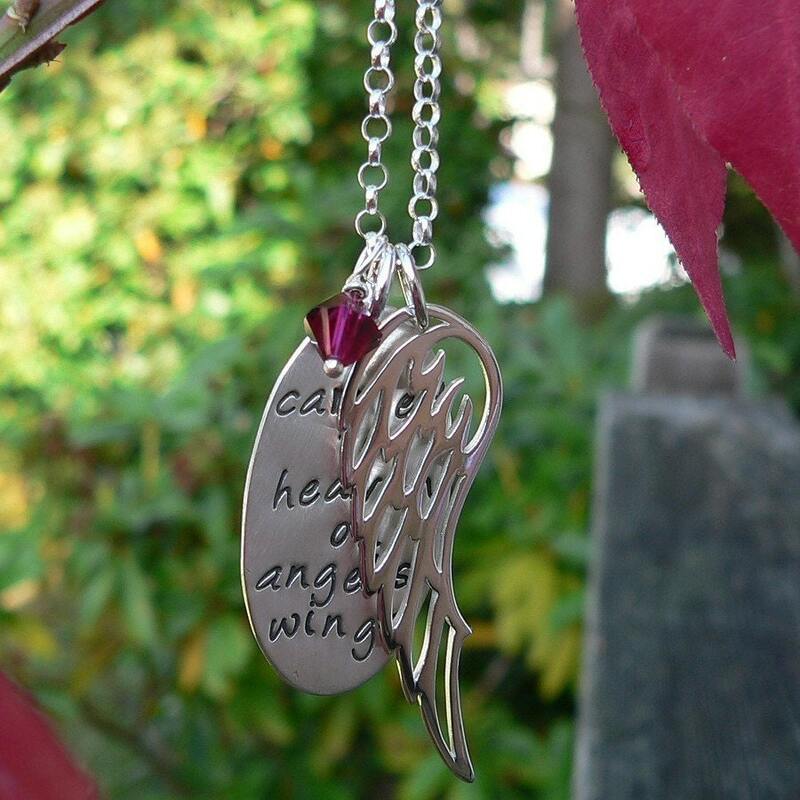 A single Swarovski crystal birthstone (your choice) accompanies to make a lovely trio. 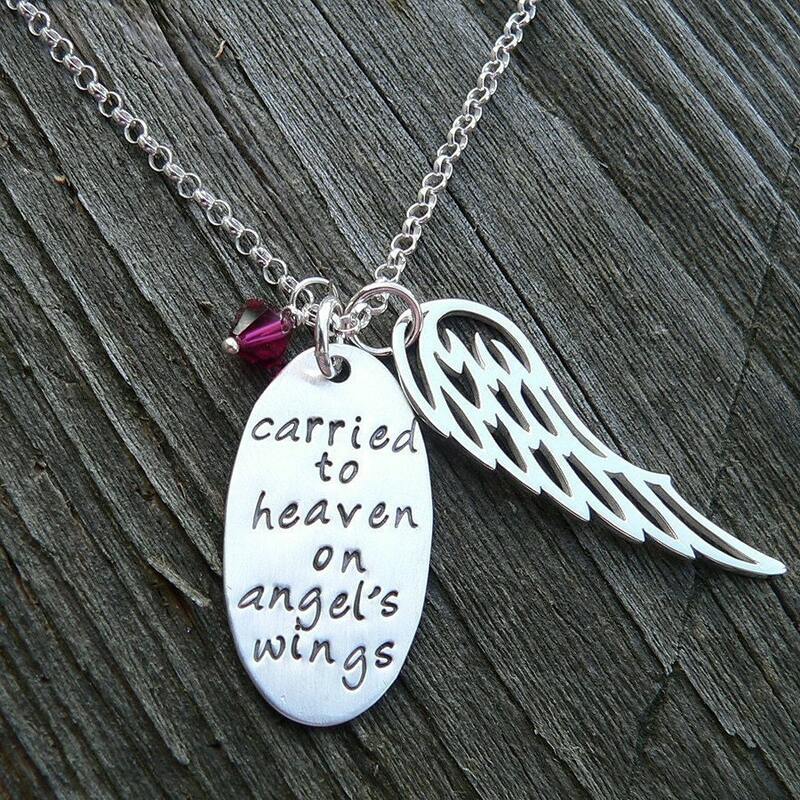 You can order this with or without the Name Charm(s) - Just select from the menu. Need another variation? Just ask. Please indicate desired length of your necklace (16", 18" 20" or 24") in the comments upon checkout. If none is indicated, a standard 18" necklace will be sent.